TEMPE – With the tribute “Megan’s Dad” written across his racing bib number, Neal Oseland was struck by a wave of emotion as he crossed the finish line of the Rock ‘n’ Roll Arizona Marathon in Tempe. The moment was a culmination of nearly a year of uncertainty for the Oseland family after Neal’s daughter Megan suffered an unexpected and life-threatening stroke. She was only 13. The courage she showed in her fight to survive inspired Neal to jump back into marathon running to honor Megan. Despite brain surgery, a bout of bacterial meningitis and a stroke all before the age of 14, Oseland said Megan “rolls out of bed every morning” with a smile. It’s from that smile that he draws inspiration. However, there was a time in February of 2018 when Oseland wasn’t sure he would see that smile again. Megan was at dance practice when she phoned her mom complaining of a headache. Shortly after that, she was in the back of an ambulance. Neal was at home when he heard the news that his daughter was unresponsive and being rushed to a hospital close to their home in Colorado Springs, Colorado. Despite facing any parent’s nightmare, he knew he had to keep his emotions in check and stay strong, especially for his youngest son. He said he remembers walking into the hospital room and seeing Megan on a bed attached to machines. He had no idea what had caused her collapse. Neal said during that time of uncertainty, support from others helped the Oseland family keep a positive attitude. 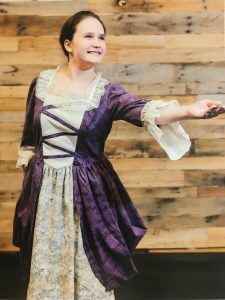 When the test results came in, they found Megan suffered from arteriovenous malformation (AVM), a tangled group of blood vessels that had ruptured in her brain and caused her stroke. Ruth E. Bristol, M.D. a pediatric neurosurgeon at Phoenix Children’s Hospital, said people born with AVM normally don’t know they have it until they reach adulthood. Oseland said the first 48 hours after Megan was hospitalized were the hardest moments he has ever had to live through. But Megan kept fighting to survive. Megan, despite her young age, has gone through many obstacles in her life. The happiness she shows every day is inspiring to everyone around her, Neal said. After seeing what Megan has gone through since that day in February, he wanted to celebrate his daughter. 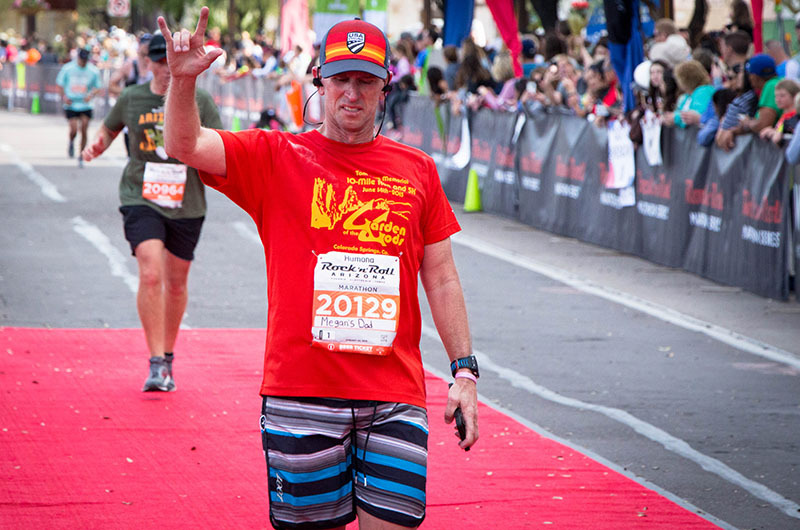 A triathlete and runner, Oseland decided that running in the Rock ‘n’ Roll Arizona Marathon was his best way to do it. He said he hadn’t run a marathon in a couple years and it scared him, but Megan has been scared, too, and she overcame it. “The reality is, it puts fear in me. This event intimidates me,” he said before he ran. Oseland completed the 26.2-mile run in four hours, 15 minutes and 32 seconds. Megan said she has come a long way since her stroke and continues to see improvement. After the stroke, she was unable to move her left side. Now she can. Megan hopes to use her story as a way to inspire others and let them know that their life will get better, too. “I just really want to be able to bring inspiration to kids who are maybe going through the same thing or cancer or something that they can fight because they are going to get through it,” she said. Megan added that she is proud that she could inspire her dad to do something that was difficult for him.